The Guardian reported that nearly 450 schools in the Thai capital were ordered to close earlier this week, and 1,500 square kilometres of the city have been designated as "control area". 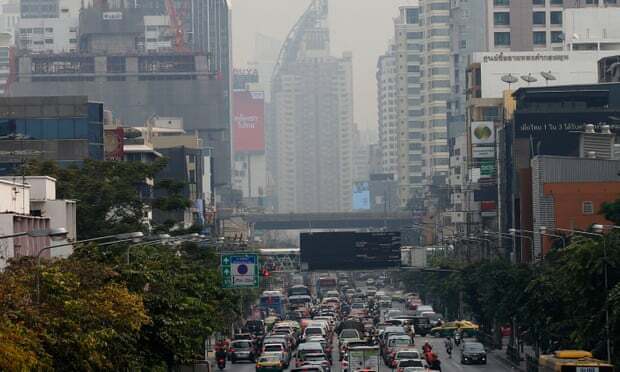 "The (haze) situation will be bad until 3 or 4 February, so I decided to close schools," Bangkok governor Aswin Kwanmuang was quoted as saying by The Guardian. According to Daily Mail, the blood is caused by the haze's PM2.5 particles that are lodged in people's lungs. 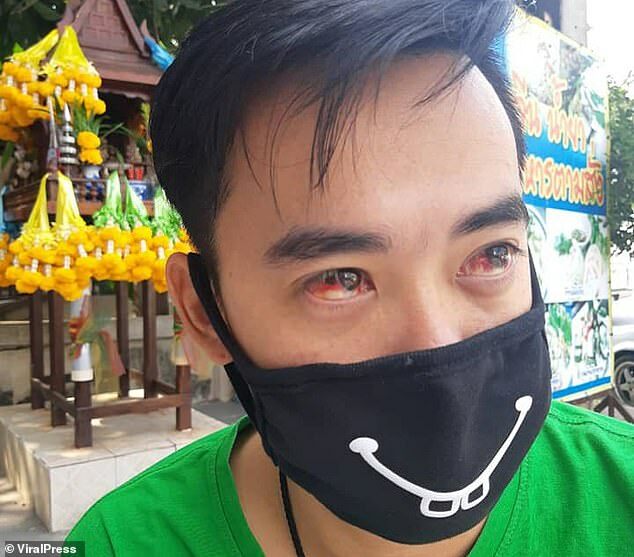 A man residing in Bangkok also found himself with blood-shot eyes due to the haze. 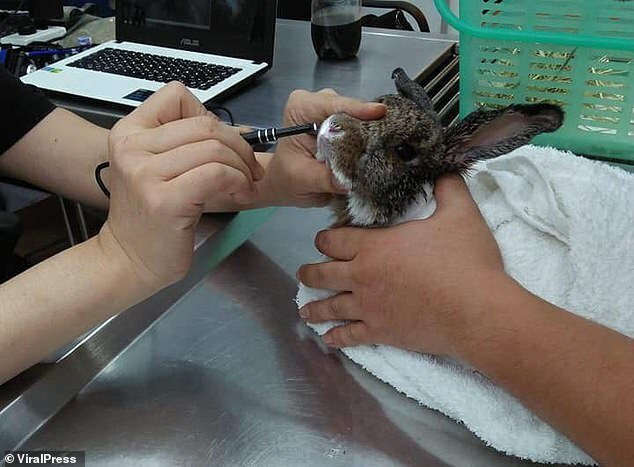 Daily Mail reported that a veterinarian from the Pet and Aquatic Animal Hospital treated a rabbit which had blood on its nose. "Jubuu has a history of chronic dust allergy and she cannot stop sneezing," the vet revealed. Another female poodle was reportedly taken to the emergency department after losing her voice for a few days. 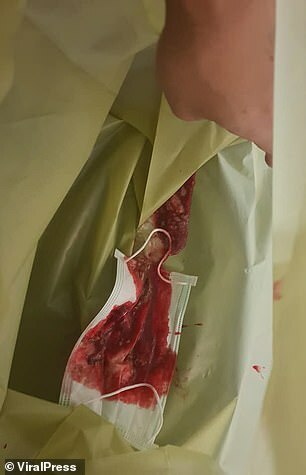 Her X-Ray results showed her lungs, trachea, and alveoli were covered with dust. 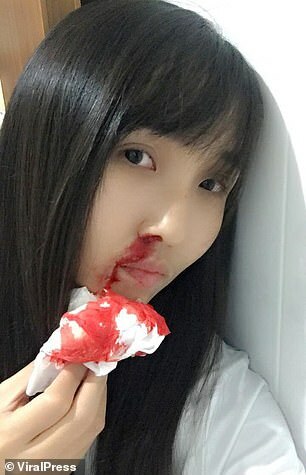 This caused her to have difficulty in breathing and a vocal cord infection. Daily Mail reported that the poodle's owner never left her outdoors for an extended period of time. However, windows are opened for the poodle while she remains indoors. - Factory pollution trapped in the city. According to The Guardian, Thai authorities have seeded clouds to facilitate rain, sprayed overpasses with water, and ordered people to not burn incense sticks and paper for the upcoming Chinese New Year celebrations.